In the month of October 2016, exports from India reached the highest value. 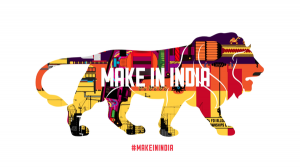 Many companies in India are now actively engaged in the export of raw or manufactured products to a large number of countries all over the world. These companies comply with the international standards and best practices to make their mark in the extremely competitive international market. So, let us have a look at the major export companies of India. Headquartered in Mumbai, the Indian conglomerate is a force to reckon with in the export of oil and gas. The company exports an approximate of 15% of the country’s total exports. It exports oil and gas to Europe, Africa, and America. Tata Steel exports a large number of steel products like H R Coils, Ferro Chrome, Wires, and much more to the countries like United States of America, European Union, Jordan, Qatar, Vietnam, Iraq, Afghanistan, Middle-East, and Korea. Recently, the company has started the export of granulated pig iron to Thailand and is eying the Southeast Asian countries. The company is a top manufacturer and exporter of pharmaceutical formulations and ingredients. Its largest export market is the United States of America. Some of the countries to which the company exports its products are Belarus, Sri Lanka, Myanmar, and much more. It is looking forward to increasing its footprints in the UK market. It is a global leader in the gold business and a major exporter of gold jewelry. No wonder, it has the largest jewelry manufacturing unit in the entire world. Currently, the company is exporting its products to more than sixty countries. The company has recently acquired the largest gold refinery Valcambi, which has a lot of credibility in the overseas. A member of the prestigious Tata Group, Tata Motors is a leader when it comes to manufacturing and exporting commercial as well as passenger vehicles. It exports an impressive range of vehicles to numerous countries like Vietnam, Latin America, Africa, Middle East, and many more countries. It is a leading manufacturer of cotton yarn, fiber, sewing thread, and fabrics. It exports to US, Japan, South-Asian countries, Spain, Germany, UK, and some countries of Africa. As per an estimation, the company export one-third of its total yarn production to other countries. It is an initiative of the Export Promotion Council for Handicrafts and has the support of the Ministry of Textiles, Govt. of India. It is estimated that the center will soon export a whopping 500 crore worth of lace products in the next five years. The much renowned Indian company exports numerous electrical products such as electric fans, light fittings, GLS lamps, fluorescent tubes, and much more to many countries in the overseas. The company based in Ahmedabad is the largest manufacturer of denim and one of the leading exporters of the same. It exports shirts and denim jeans. Countless international brands like Arrow, Lee, Tommy Hilfiger, and much more use export products of Arvind Mills because of superior quality and competitive pricing. This is a reputed name in the gemstone industry and winner of the export performance award since last eight years. The company exports gems, diamonds and even jewelry to many countries like US, Hong Kong, and UAE. It is a top manufacturer of diamonds in the entire world. Apart from the above companies, several other Indian companies such as the ITC, Hindalco Industries, Indian Oil, Bharat Heavy Electricals, Overseas handicrafts, and much more have excelled in the export of quality Indian goods in the international market. Mr. Narendra Modi is consistently making genuine efforts to realize the dream of making India a Golden bird via a significant boost in export items. I am looking for companies that can supply dry good. Rice, cooking oil, flour, suger,to the Caribbean on a regular basis. Hello please share your contact details,we are manufacturer of Rice product,Wheat Flour,and Spices Products. What do you want to do…like do you want to export your goods. Hi khalifa, I am Rizwan Sayed from India. I am a Merchant Exporter. I can export what you are looking for. Where u want it to be supplied? I need that too. Can anyone supply? Hi Arveesh Arora, I am Rizwan Sayed from India. I am a Merchant Exporter. May I know what you are looking for. so that I can help you with it. Contact to Sanwaria Consumers. Its best in quality and in price. We can help you with it. Kindly send me your requirements and will reply u with the details of product you are in search for. Hello Abdul, We can work together if you did not find any good deal yet. Please contact me on +91-9408552305 or mail me quotation on Bhavyadixit0001(at)gmail.com. I am willing to function as an agent… Pl. Contact me..rameshcrystal(at)hotmail.com. I am bejoy, we are trader exporter and importer in uae, i u r interested to do business, contact me. Yes , we manufacture Volumetric weighing machine. We want to export the same. I want to export freezer juice bars that can be freezed n number of times and can be store at room temperature. We are looking for merchant exporter to do export of maniarr’s khakhara (wheat crisps)..
We would like to sell kurthi,sarees, artificial jewellery and ornaments and baby dress materials. Can I have good contacts of singapore, dubai and USA? We are Govt of India Authorised Eseal vendor for export/Import containers. Our seal gives you more protection to your valuables. Please give us a chance to serve you and you would get the world class services and Container seals too. Hi, I am looking for importers of paper angle board and online plastic corrugated edge protector .